Bad back links are weeds in the SEO world – they signal to Google that the page you’re trying to rank isn’t of quality, and thus drags the page’s ranking down. They are also troublesome to detect and generally tedious to remove. When your site features a large number of back links, manual checking isn’t an option. Fortunately, software can complete the job for you. We’ll show you how to use Link Explorer and Keyword Explorer to easily consolidate your back links, and Excel and Lists to manage them. With the 4 types of software in place, you’ve got a detailed and thorough link-checker set up. What are the existing methods? For a start, these are the basic measures that SEOs use to gauge how toxic it is, or in other words how high are the chances that the back link will compromise the site’s integrity and cause its ranking to drop. These do a rough gauge of a site’s authenticity and legitimacy. Spam Score (used by Link Explorer) detects sites that have been blacklisted by many users due to certain content on the sites. Majestic Trust Flow predicts a site’s reliability by evaluating the links that direct users to the site. Anchor text has been so extensively abused by SEOs that they tend to produce an opposite effect to the desired one these days. Purposefully modified anchor text can be easily detected with some good judgment by their unoriginality, and usually containing the same target keywords over and over. Low quality and suspicious links come from websites that seem unnatural or irrelevant. In many cases, these sites were created purely for the purpose of linking, and sometimes originate from overseas countries. Sometimes, if they are from established, trustworthy domains could be of low quality, such as ones that originate from spam like comment/feedback sections or discussion forums. And now, here’s the step by step guide on how to set up the link-checker. We’ll break down this process by the type of software used. You can get them from Link Explorer’s extensive database of nearly 30 trillion links. 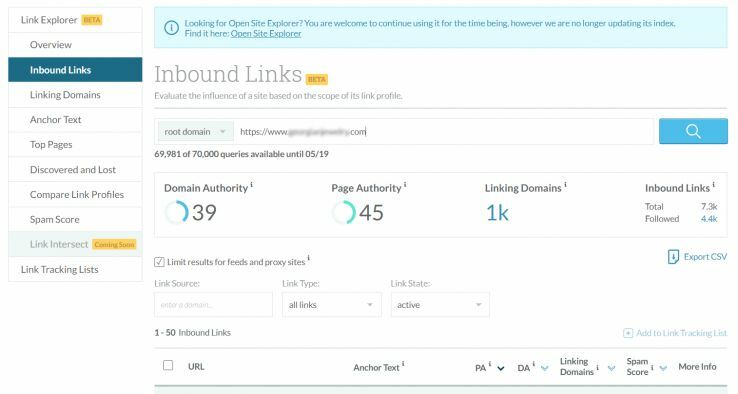 From the left sidebar, select “Inbound links” and you will be led to a search page that allows you to key in the webpage address that you’re investigating. To simplify the process, set the follow filter to only follow exported links and change the selection for “link status” to “active” – this helps to sieve out deleted ones. You’re now ready to export the links and download them. Many SEOs don’t go further past this stage as this set of links provides a pretty decent basis for evaluating the quality. However, following through with the other steps will help you further filter out the links and save yourself even more time. Side note: The process is slightly different if you’re exporting a large volume of over 1000. In this case, put your selection for settings to the biggest one and be prepared to wait as the export may take a while. We’re taking out the anchor text because as earlier mentioned in the second point on measures used by SEOs to gauge how bad a link is, anchor texts are a very helpful indicator of the quality of the links. Extraction is a fuss-free step as there’s no need to apply any additional filters at this stage – just select the “Anchor text” button on the left sidebar instead of the “Inbound links” as you did previously, and then go for the export. Before analyzing the anchor text, we can shorten our list by removing entries that are repeated as this will simplify the Keyword Explorer usage later on. In the settings, uncheck URL-link anchor texts and “no anchor text” from the results. Once this is done, shift all the anchor texts into a compiled input list for Keyword Explorer. 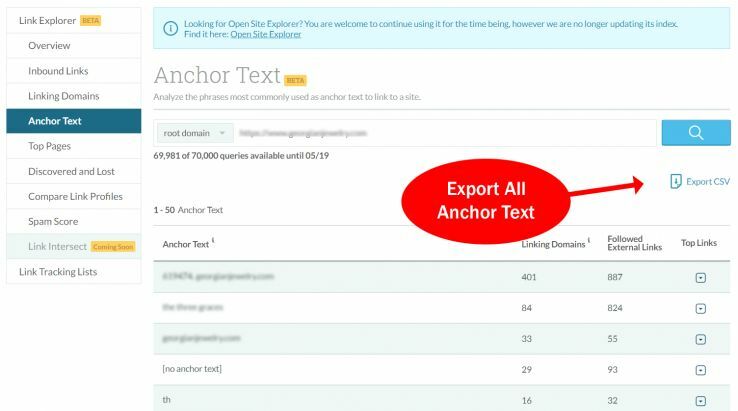 Keyword Explorer helps to classify anchor text by the density of searches – this is how manipulated anchor texts are detected, since SEOs would aim to use keywords that they want to rank within the anchor text. Search density of anchor text is hence be a good indicator manipulated anchor text. At this stage, we’re working towards one consolidated list of back links that you want to analyse properly. Transfer your list data from the 2 previous sources (the back links export and the keyword list export) into 2 separate worksheets. We’ll work with the backlinks list first and shorten it by clearing repeated entries off the list. These can be easily separated using Excel, which helps you extract domain names quickly. Excel has a function that separates the URL into its component parts by breaking off at every slash “/”, creating a 4th column that will be purely consist of domain names. From this, we can eliminate repeated domain-anchor text pairs from the list, so we are left with only the necessary toxic links needed to be evaluated. This is done by selecting “Data” followed by “Remove duplicates” and then selecting the required domain column. To merge the lists on the two sheets, use Excel’s VLOOKUP formula to add the search volume on the keywords list to the anchor text on the back links list. 5. Create the final link list. This is what you came for! 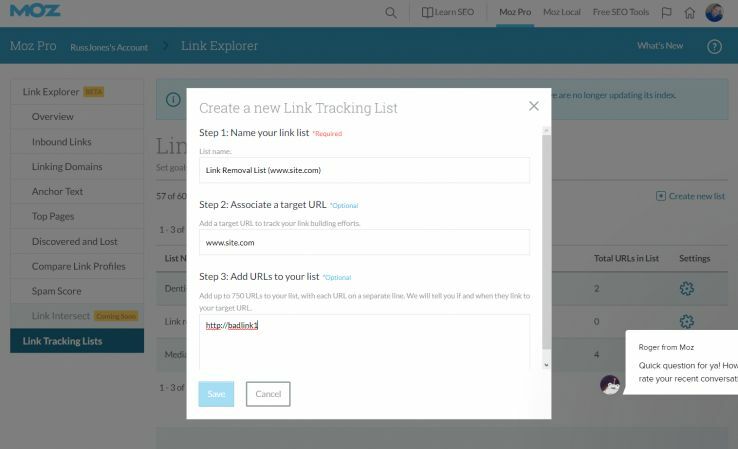 Go back to Link Explorer and select “Link Tracking Lists”. The compiled list helps you to manage the validity of the links by keeping track on whether they are active. Using all this software simplifies the process a lot, especially if you’re dealing with a lot of data. Don’t let the maths and science of it bog you down – keep formulas simple and optimize the power of excel to sort these links for you. If you need a link detox go here undrcut.com/seo-singapore and contact us today.